Do you like to Make your Own Potpourri's? We now have Botanicals - Natural plants to use to make your own Potpourri's. We call them - Potpourri Fixings. It includes all those wonderful things you see in potpourri's. Now you can make your own. Here you'll find some basic Natural Botanicals - plants or parts to toss together and make your own 'scented' Potpourri's. Of Course - we suggest you use Pure Essential oils or Synergy Blends, but some desired 'scents' aren't always available made from the pure essential oils. We have been able to locate a couple suppliers that offer these natural based fragrance oils. They are not 100% essential oils or aromatics as they do include a synthetic to help prolong the scents and to provide consistency from batch to batch. 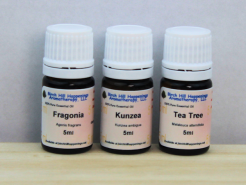 Since many of you are requesting fragrance oils we have found a formulator that uses Natural Botanical extracts, essential oils and a small amount of synthetic fragrances (to enhance and prolong the scent). For our Natural Based Fragrance Oil Click Here. If you don't see something you would like to see OR Smell, let us know and we'll see what we can find.